My 2002 RSX-S sat for over two years. After I finally got it running again it, not surprisingly, had a few issues. The lingering one is that some mice got into the A/C ducts and used them as a home and granary. Anyway, last time the mice had holed up in the cabin air filter area. 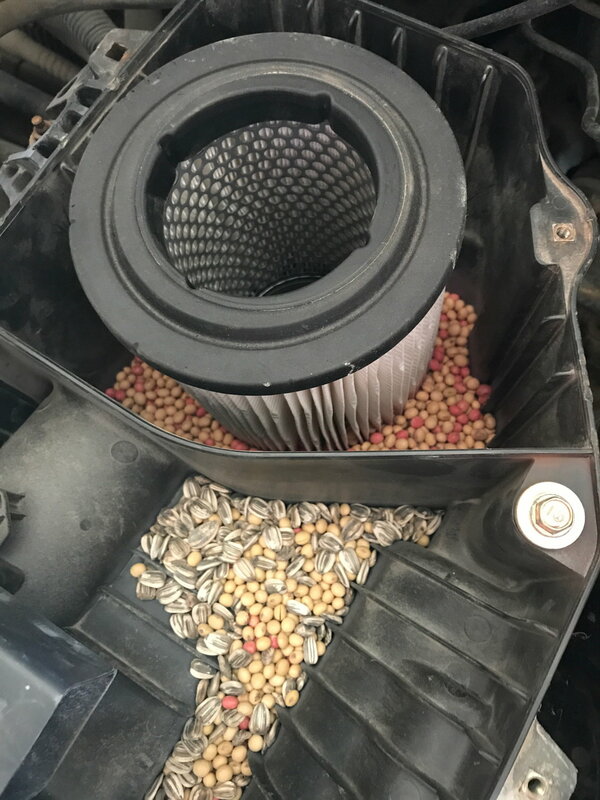 This time I vacuumed a pound or so of soybeans (I'm a farmer…they were leftover seeds) out of the air ducts in the cabin air filter and blower area. A few others could be heard rolling around in the ducts for a while, but seem to have found a place to lie where they no longer make any noise, for better or worse. Now, though, one of the mice, or a nest of them, seems to have died in the vents somewhere. 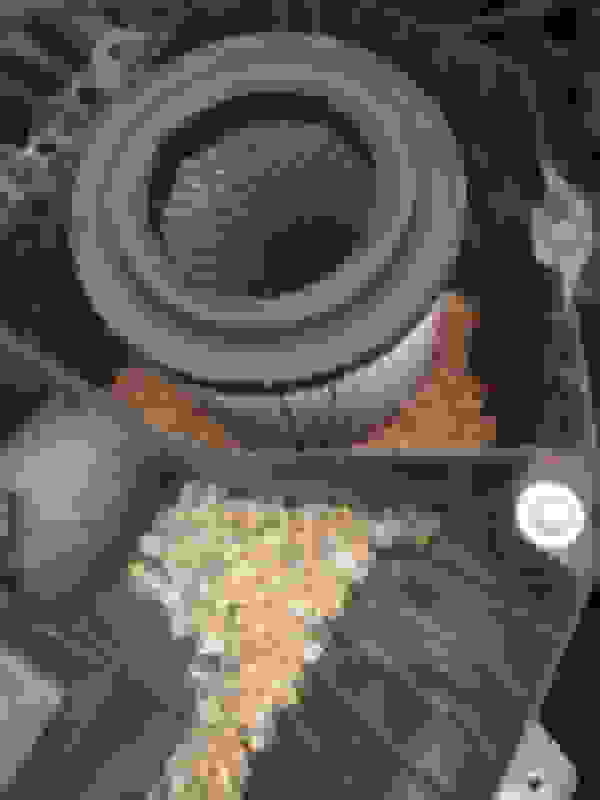 I can't tell exactly where it is, but I recently realized that I think it's worse when the air is in recirculation mode. How can I get into the ducts to clean them? I obviously can't find anything more in the air filter area. I don't even know if the air deflectors are removable, and if they are, I doubt I could get my arm in there, anyway. I could keep blasting Lysol into the ducts and wait for the dead thing to dry out, but that doesn't seem very healthy, and it's gotta be restricting airflow to some extent. Great photo! Unfortunately, I'm not sure how to help with your issue.